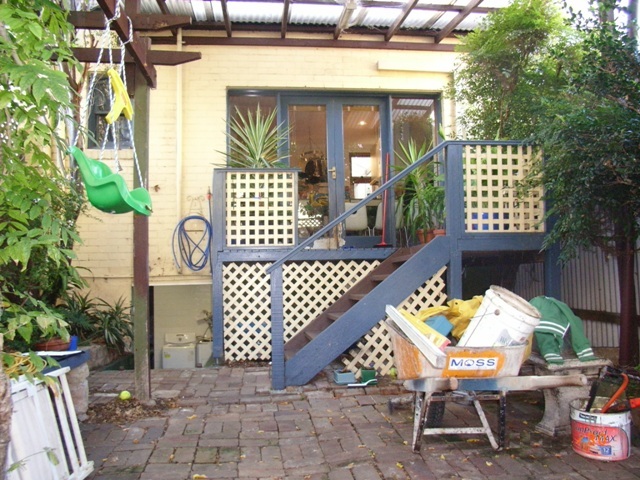 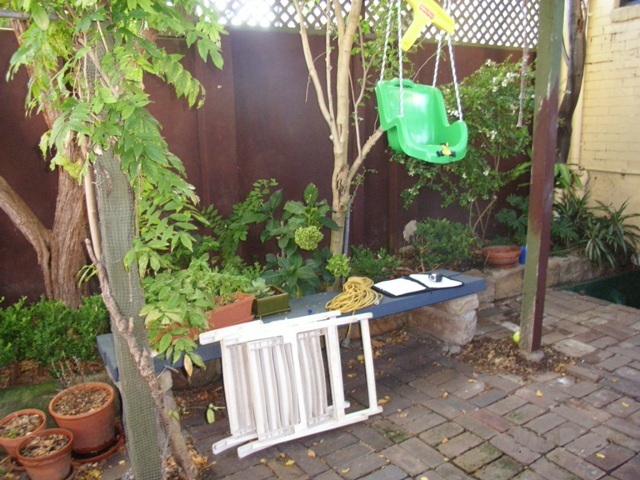 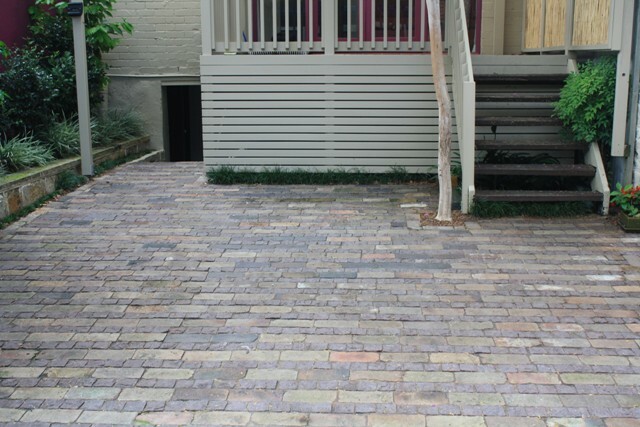 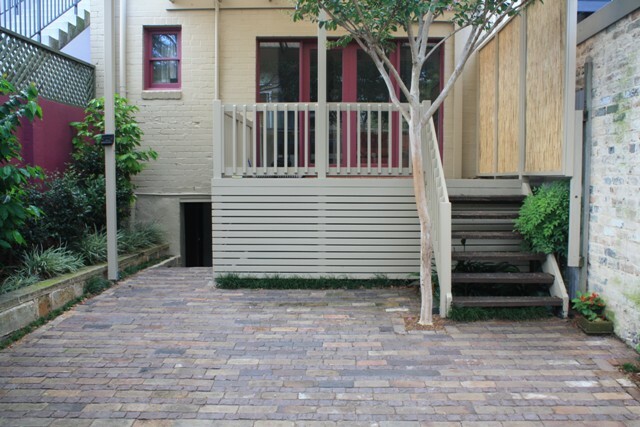 Rational and maintainable yet elegantly finished – a parking space adds enormous value to this Inner West terrace. 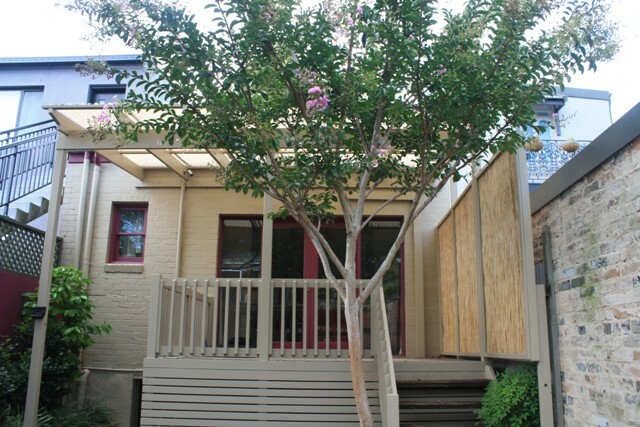 Featuring an extended deck with a screen and pergola that provides a pleasant and private outdoor sitting area and a beautiful Crepe Myrtle shade tree. 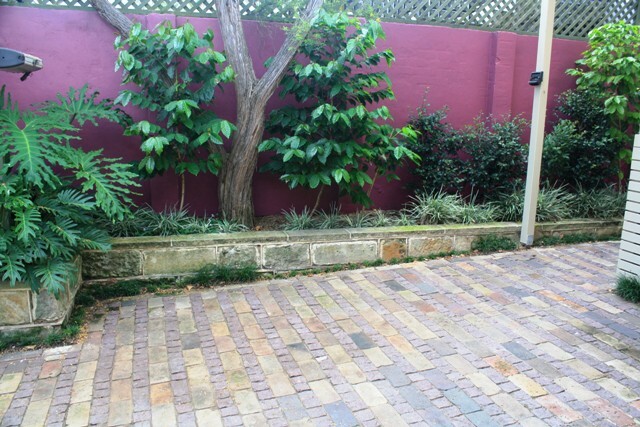 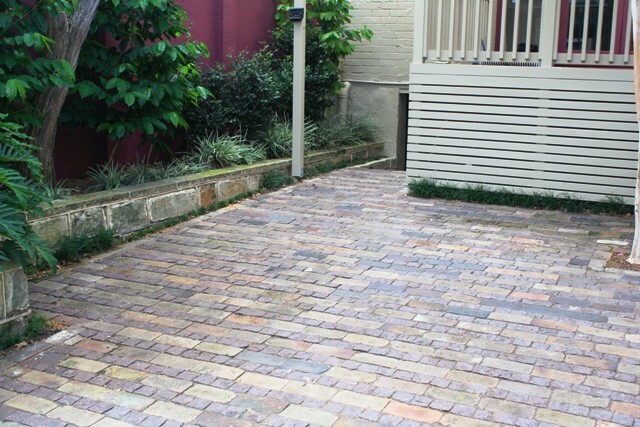 This sustainable and cost effective garden utilises recycled brick paving and sandstone walling whilst adding quality of life and practical value for the owners.